News Media Canada continues to measure newspaper readership across different platforms and by time of day. The most recent research was conducted in January/February 2018 and confirms the continued strength of newspaper readership. Total readership is strong and stable. Every week nine out of ten adults (88%) read newspapers on any platform. Newspaper readership is truly multi-platform. More than a third of adults (34%) read newspaper content on all four platforms weekly. All platforms (print, desktop/laptop, phone and tablet) continue to be used across demographics to access newspaper content. Boomers continue to drive print readership with strong early morning and after dinner reading habits. Newspaper consumption on desktops/laptops spikes between breakfast and dinner, boosted by those with annual household incomes over $100,000. 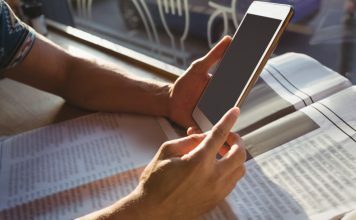 Mobile reading on smartphones is constant throughout the day, driven by Millennials and readers on-the-go. 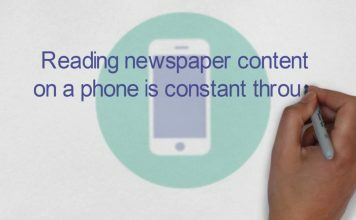 Consistent with global trends, the growth of mobile readership continues to boost overall newspaper readership. Evening readership is dominated by mobile platforms; tablet readership displays the strongest increase after dinner. Business Decision Makers over-index on tablet readership (17% more likely than the average adult to be a tablet reader). Cross-platform newspaper readership demonstrates Canadians’ interest in news and continued trust in newspaper brands. Newspapers continue to be accessed by Canadians across all platforms. 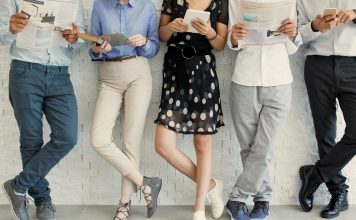 They read print but they also use their computers, tablets and phones to connect with content they trust. This is the sixth Newspapers 24/7 study released since 2012. This study was designed to explore how Canadians read daily and community newspaper content, on different platforms and at different times during the day. Since the first study there have been shifts in reading by platform but one thing has not changed: Canadians continue to access newspaper content across all the various platforms. In 2012, 85% of Canadians reported that they read newspapers on any platform, over the course of a week and in 2018 that number has climbed to 88%. The 2018 study was conducted in January/February 2018 across all provinces, in English and French and consists of just over 2,400 online interviews. Results from previous studies are available below. 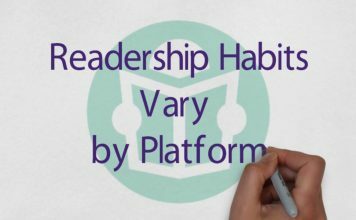 For more information, contact Kelly Levson, Director of Marketing and Research, at klevson@newsmediacanada.ca.